Large Buffalo herd at Giriyondo turn-off Not sure if this is a sign of the times but at the turn-off there is a wide open expanse of land close to a drinking point and a large herd of Buffalo were stretched out across the expanse, some resting, some eating and others drinking. It was a great sight to see so many large animals in open countryside. Sunbirds Feeding at the Blossoms of the Beautiful Common Coral Tree Outside Hut number 7 at Punda Maria is a Common Coral Tree which was "swarming", well almost with 3 types of sunbirds feeding on the nectar of these spectacular flowers. This Lion is Fitted with Radio Collar. Part of Bovine TB Research Project Lions and especially those in the South of the Kruger have become infected with Bovine TB. The lion we saw on the sunset drive was one of the research individuals and was fitted with a radio collar. Corumana Dam on Sabie River Increasing the height of a second dam in Mozambique threatens the last remaining gorge on a perennial river in the Kruger. Harry Wolhuter Biography by Professor Geoffrey Haresnape read this interesting study of the man who famously killed a lion. Thulamela Archeological Site Pafuri Region Kruger National Park The Thulamela historical site was only discovered in 1981. GPS Mapping Punda Maria Mahonie Loop Drive Kruger National Park South Africa Notes on how I used my combination of Garmin 60CS GPS unit, camera and digital recording device to allow me to recollect my drives and thus make this website possible. Do Not Get Out of Your Vehicle ... Elephants. The loudest noise I've ever heard and it sounded threatening came from an elephant trumpeting. And why these 3 people were just stupid. African Python Snake Tracks in the Sand Kruger National Park Where did that African Python go to ...? Kruger National Park Regions Map, Rangers and Park Sections Sections of the Kruger also showing map of lion distribution by section. Southern Ground Hornbill Kills Large Monitor Lizard Near Sabie River A savage slaying of a monitor lizard brings home the fact that birds are also serious predators. Crocodile Kills Female Bushbuck at Lake Panic We'd probably seen this beautiful creature the previous day. Kruger Park Water Lilies ... Most Blue WaterLilies Started Life in Africa There are 3 main indigenous waterlilies you will come across in the Kruger. Here's how to tell the difference. A Deeply Concerned Lioness Calling for Her Cubs I still wonder if this mother did find her cubs that day on the S90 close to the Mavumbye River. 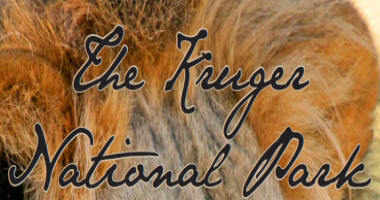 Google and the Kruger National Park | Google Earth Have you ever seen Crooks Corner in the far NE of the Kruger? No, then take an aerial view right now. Wild Basil, Impala Lily and Hammerkop Nests on Morning walk at Satara Morning walk in the Park with GPS on hand. See where they walked on Google Earth. You will see many birds on a visit to the Kruger and will have many questions upon your return. The birds of the Kruger are almost infinitely varied in shape, colour, behaviour, size, appearance and function. They have a single common denominator ... they all have feathers. Birds of The Kruger Park and How These Birds Fly You'll look at every bird differently after reading this article. Nyala Drive Pafuri Region Aerial Images Aerial view of a favourite drive using Google Earth.